The stock 80" HD motor has some performance upgrades that include Python pipes, a Mikuni flatslide carb, K & N air filter, a bigger camshaft and a brand new Barnett kevlar clutch to keep it hooked up. This motor just plain MOVES when you ask it to. The nice thing about these performance upgrades is that it has a lumpity lumpity lumpity idle but is very drivable. The pipes are not quite, but not too loud, either. It really sounds and runs nicely. The bike is VERY clean and well kept, always stored indoors. This bike is near new with only about 14K miles. This bike is almost flawless! 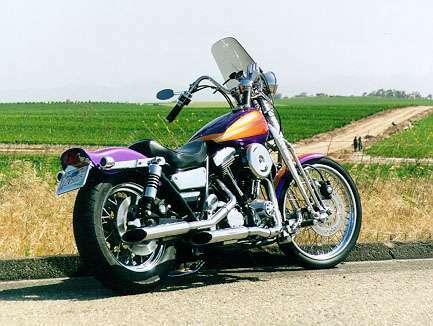 The chromed genuine HD Springer front end was added with a chrome 21" spoke wheel and disk brake. 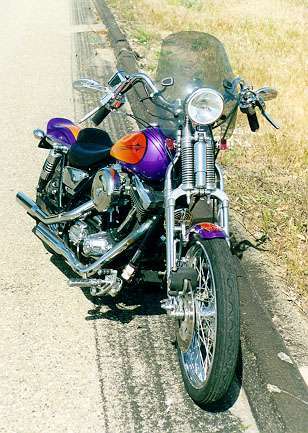 The spoke rear wheel is also chrome. The switches, covers and levers are chrome. Arlen Ness mirrors were added along with HD foam grips and very trick billet Kur Aykn forward controls with brand new rubber cushions. 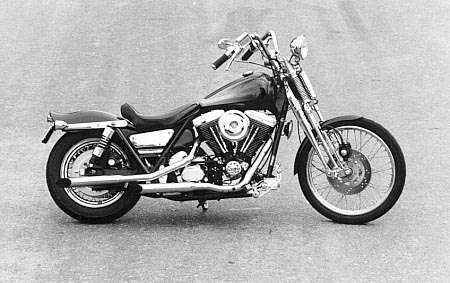 The pulley and belt covers are chromed and a Performance Machine master cylinder was added for the rear brake. 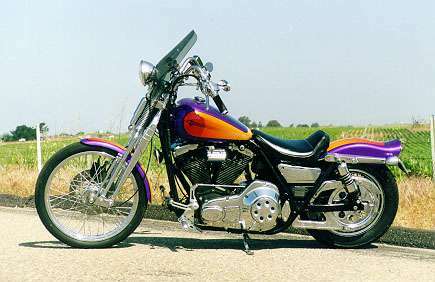 Check out the custom paint and graphics on the tank and fenders! 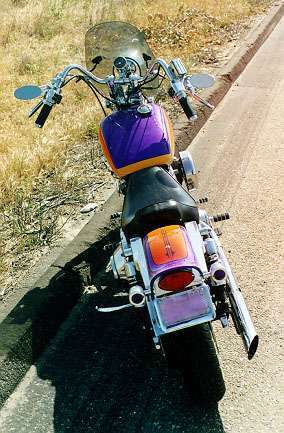 The HD windscreen is removable, the kickstand is chrome along with a Pingel petcock. Custom chromed front and rear turn signals were added along with a chromed license plate bracket, custom tail lamp assembly and billit license frame. There are also various billet and chrome doo-dads here and there to dress up the motor etc. Tires are in good condition. A La Perra seat makes the ride even more comfortable.